The brightly colored brisingid seastar Novodinia antillensis is fairly common near 500 meters depth in Roatan, Honduras. In 2010 and 2011, a NOAA-led team of researchers explored the deep Meso-American Reef off Roatan, Honduras, as part of a multi-year expedition called 'Deep Coral and Associated Species Taxonomy and Ecology', or DeepCAST. 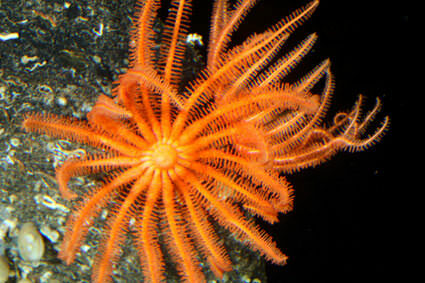 The goal of DeepCAST is to estimate deep-sea coral abundance and diversity; and to discern the nature of the relationship between host corals and their associated species. 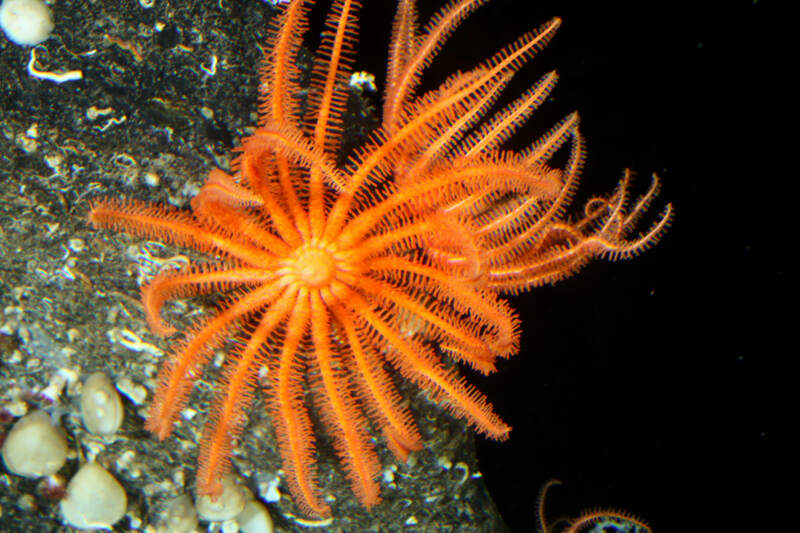 The primary reasons we study deep-sea corals are because they provide habitat to other species of fish, sea stars, shrimp and crabs; and they grow very slowly, so they are vulnerable to bottom contact fishing gear.